Summer is the perfect season to enjoy alfresco dining, with long sunny days there is no other way to enjoy than to relish an outdoor dining experience with a picnic. Make yours a luxury affair and indulge your senses with Royal Crown Derby’s stunning range of fine bone china tableware. Take a look at a selection of the stunning designs available to create a truly opulent picnic experience. Bright shades of colour are perfect to accompany a statement picnic experience in sunnier climes. 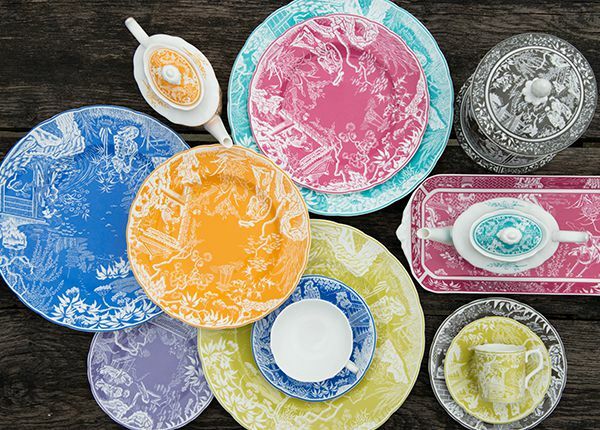 Acid tones of pink, lavender, lime and blue mix and match, create a dining scape perfect for the brightest of seasons. 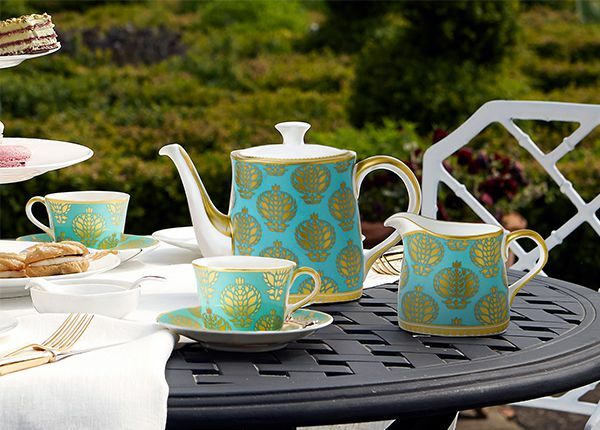 Royal Crown Derby’s Mikado tableware design uses an 18th century pattern in bright pop colours, which can be mixed together to bring together a wonderful contemporary look to an outdoor dining experience. Floral patterns are a spectacular way to bring the summertime garden to a luxury entertaining experience, with patterns inspired by the blooms bursting to life during this splendid season. Royal Crown Derby’s Derbyshire Garden tableware pattern features stunningly intricate detailing, inspired by the traditional English cottage garden, creating a perfect flora & fauna inspired alfresco setting. 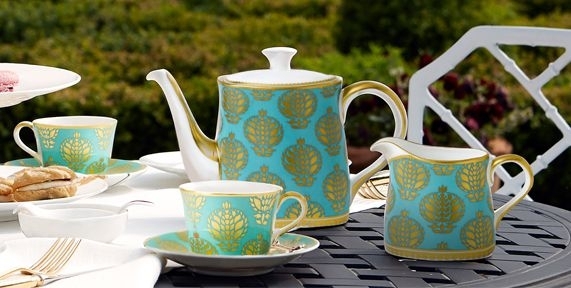 Create a stunning contemporary and opulent dining scape, perfect for an elegant picnic on a long summer day, with the beautiful bright shade of turquoise used in Royal Crown Derby’s Bristol Belle Turquoise which contrasts perfectly with the 22 carat gold detailing. 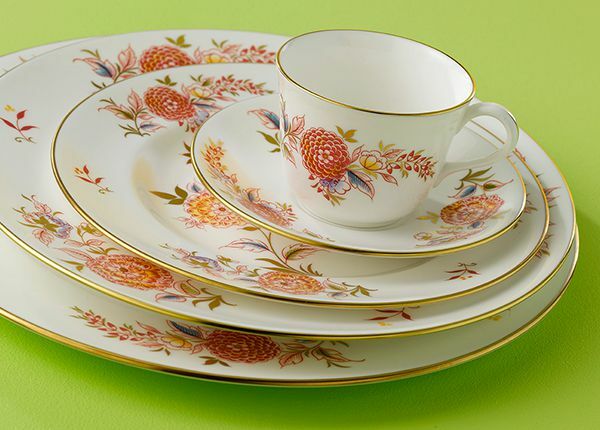 Royal Crown Derby have a fantastic array of beautiful fine bone china tableware, perfect for the most opulent of alfresco dining this summertime. Why not take a look at the full tableware range here.